The British artist Haroon Mirza has won the fourth Nam June Paik Art Center Prize, which acknowledges artists whose work is felt to be particularly innovative and experimental. 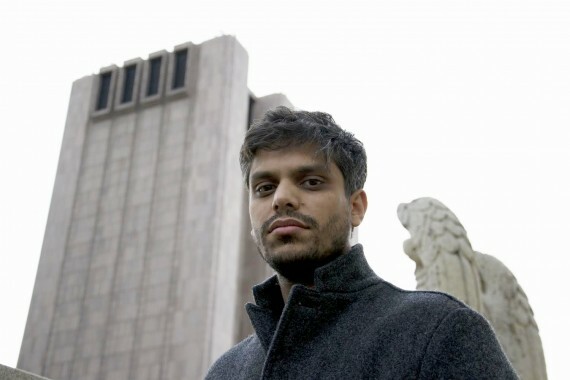 Haroon Mirza has been announced as the winner of the 2014 Nam June Paik Art Center Prize. Chosen for what the prize’s jury describe as his ‘remarkably cross-disciplinary work, traversing sound art, installation art, video and performance, seamlessly drawing on various elements of art and technology’, the ‘experimentality and openness’ of Mirza’s work was said to resonate with the spirit of Nam June Paik (1932-2006), the Korean-American pioneer of video art . The London-based British artist is the fourth winner of the $50,000 prize since it was established by the South Korean art centre in 2009. Mirza will be presented with the award at the Nam June Paik Art Center on Thursday 29 January 2015, the ninth anniversary of Paik’s death. A solo exhibition by Mirza will be presented later in the year. The Nam June Paik Art Center Prize was established to acknowledge artists who ‘open up new horizons through their relentlessly experimental and innovative works’. The first prize in 2009 was awarded to four artists: Seung-Taek Lee, Eun-Me Ahn, Ceal Floyer, and Robert Adrian X. In 2010 the prize was won byphilosopher and sociologist Bruno Latour, and in 2012 the winner was the American artist and filmmaker Doug Aitken. This year’s nomination committee members are Kazunao Abe, artistic director, Yamaguchi Center for Arts and Media (YCAM); David Joselit, critic and distinguished professor, CUNY Graduate Center; Jang Un Kim, senior curator, National Museum of Modern and Contemporary Art (MMCA); Hyunseok Seo, artist and professor, Yonsei University; and Kyunghwa Ahn, chief curator, Nam June Paik Art Center. The jury also includes Nobuo Nakamura, director, CCA Kitakyushu; Sun Jung Kim, director, SAMUSO; Kyuchul Ahn, artist and professor, Korea National University of Arts; and Manu Park, director, Nam June Paik Art Center.